Freedoms Foundation is a unique organization that believes American citizens thrive from understanding our history and celebrating our freedom. Your donation will help us continue to develop responsible citizens who reject apathy and get involved. Give a Little. Educate Many. #GivingTuesday is a worldwide day dedicated to giving back. On Tuesday, November 27th, individuals from around the world will come together to celebrate generosity and to support their favorite charities. 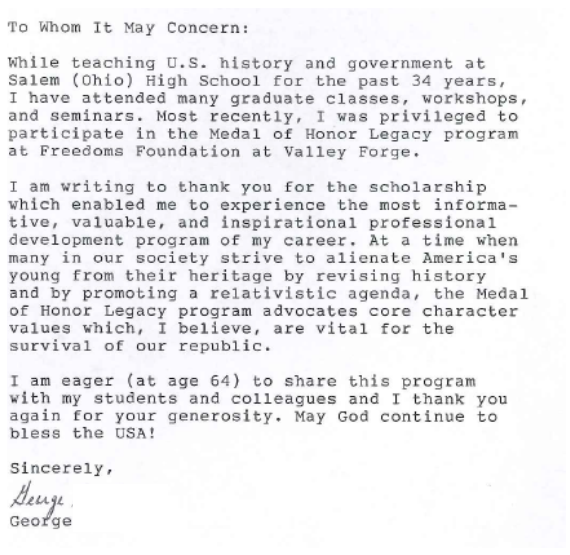 Why give to the Freedoms Foundation at Valley Forge? 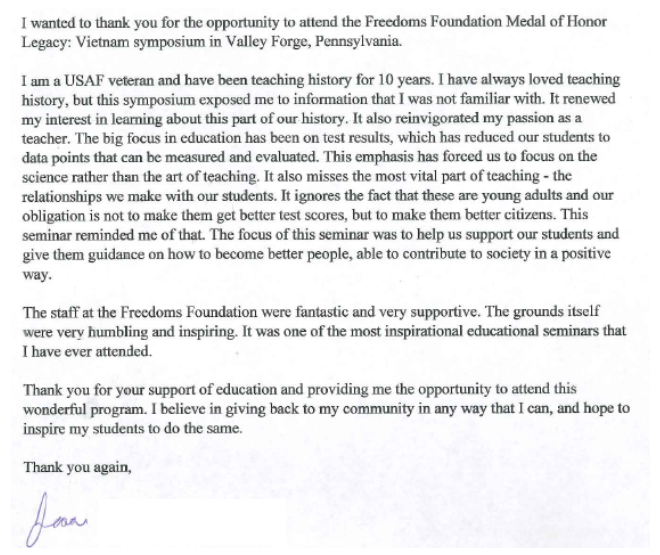 Each student and teacher that experiences our educational programs will positively affect the lives of thousands. Your gift is essential to ensure that students and teachers have the opportunity to receive the exceptional educational experience that the Freedoms Foundation has provided for over 50 years. We provide leadership skills, lessons on free enterprise and entrepreneurship, character development, and a working knowledge of the U.S. Constitution that helps develop the future leaders of your community and our nation. Over 90% of our students and teachers attend our programs on scholarships. Your gift is needed! 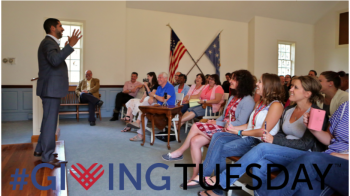 The support of our generous alumni, parents, and friends, who make gifts of all sizes, is essential to Freedoms Foundation’s ability to provide this unique educational experience to all Americans.